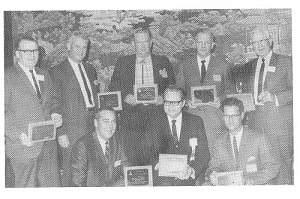 The National Association of Fire Equipment Distributors (NAFED) was established in 1963 with the mission of continuously improving the economic environment, business performance, and technical competence in the fire protection industry. • Where could they buy discounted recharge tags? Today, our association continues to operate with that guiding mission and the principal objective of gathering and disseminating information and ideas that will improve the world's fire protection and increase the fire protection industry's competence. Our leadership, staff, and members work to develop factual information relating to the dependability and effectiveness of portable fire equipment, pre-engineered systems, and engineered systems so that agencies and organizations responsible for the formulation and enforcement of the world's fire codes are aware of it. Because our members acknowledge the responsibility inherent in the sale and maintenance of fire protection equipment and service, and because we pledge to perform work and serve customers with the highest degree of honesty, skill, and integrity that such responsibility infers, NAFED members raise the bar. Our officers and regional directors are accessible to members who have questions about the association or industry. They serve as contacts for states or provinces in their respective regions. Our Chicago-based headquarters coordinates the leadership and serves as a clearinghouse for all activities and information affecting members. NAFED members are dedicated to raising the standards of the fire equipment industry through cooperative efforts with other distributors and manufacturers in the areas of education, legislation, and professional service for the benefit of the general public in all aspects of fire prevention and protection. This is reflected in NAFED’s code of ethics, to which all members subscribe. If your company is engaged in selling, distributing, and servicing fire equipment, please review the portfolio of member benefits that NAFED has to offer.